SHARK, the protective instinct. 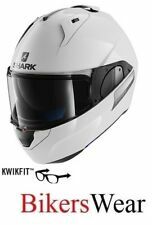 Since the creation of SHARK, we make it a point of honor to increase safety in our products. Our R&D office pushes research limits above the usual to reach the best possible performance.